The St. Louis Symphony Orchestra is an American symphony orchestra based in St. Louis, Missouri. Founded in 1880 by Joseph Otten as the St. Louis Choral Society, the St. Louis Symphony Orchestra is the second-oldest symphony orchestra in the United States, preceded only by the New York Philharmonic. The St Louis Choral Society performed in the auditorium of the St. Louis Mercantile Library at Locust and Broadway in Downtown St. Louis. During the 1881–82 season the 80-member chorus was joined by an orchestra of 31 members. A disbanded Musical Union joined the group. In 1893 the St. Louis Choral-Symphony was formally incorporated. It remained largely a choral organization through its performances at the 1904 World's Fair under Alfred Ernst when it expanded to a 200-member chorus and an orchestra of 55. Under Max Zach's tenure (1907 to 1921), it changed its name to the St Louis Symphony Orchestra. Before moving to its current home in Powell Hall, the SLSO performed for many years at the Kiel Opera House. The orchestra has given concerts regularly at Carnegie Hall and has made overseas tours to Europe and to Japan. 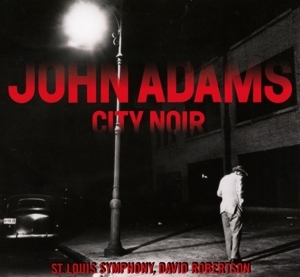 The St. Louis Symphony has recorded for the Columbia, RCA Victor, Red Seal, Telarc, Vox/Turnabout and Angel EMI labels. It has also issued CD recordings on its own label, Arch Media, and has received six Grammy Awards and fifty-six nominations. For Opera Theatre of Saint Louis, the St. Louis Symphony Orchestra has been the resident orchestra since 1978, divided into two ensembles, each performing two of the operas in the season. The orchestra has an extensive education and community outreach program, known as the Community Partnership Program. SLSO musicians give several hundred free performances a year of chamber music in schools, churches and other venues, such as community centers. The orchestra has a partnership with IN UNISON, an association of 36 local African-American churches. The IN UNISON Chorus, drawn from IN UNISON churches and area residents, performs with the orchestra as well as on its own programs. Also associated with the orchestra is the Saint Louis Symphony Chorus, which was founded in 1977. Its first director was Thomas Peck; for the last 20 years, it has been directed by Amy Kaiser. The Saint Louis Symphony Youth Orchestra was established in 1970 by Leonard Slatkin. A "rebranding" process was undertaken in 2010, with the adoption of a new logo and a new “look”, changing its name from the Saint Louis Symphony Orchestra (SLSO) to "St. Louis Symphony". The move was not received with universal approval, and many, including members of the local news media, proved resistant to the marketing-based change. Since the fall of 2010, due to the sale of KFUO, the St. Louis Symphony has partnered with St. Louis Public Radio to broadcast its subscription concerts live every Saturday night during its regular season. Since the launch of these radio broadcasts in September 2010, Arbitron ratings for the timeslot now filled by the SLSO have nearly doubled.